All rechargeable batteries have a limited lifespan and the available capacity is to diminish in the cold weather. maximize the lifespan of power bank, and retain more available capacity in cold season. 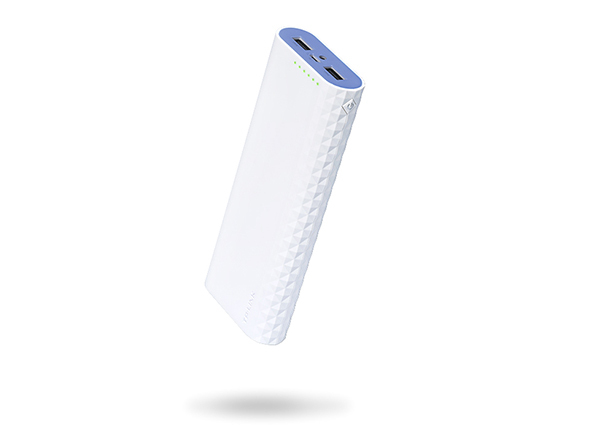 TL-PB20100 is an enormous capacity 20100mAh power bank from Ally series. The extra capacity working together with high energy efficiency, delivers more power and charges more times for all your devices. A TL-PB20100 carries enough power for most circumstance, even a long trip or a family gathering. 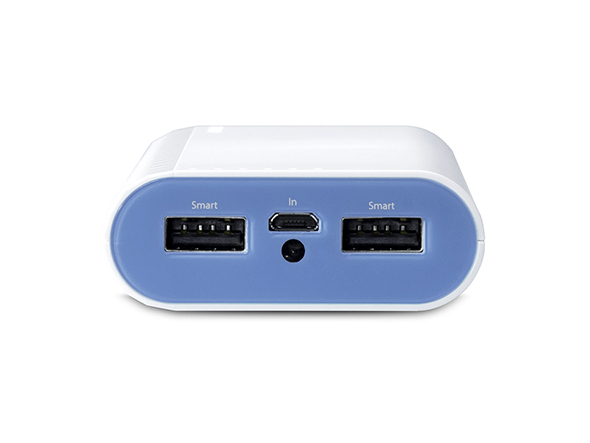 Powered by TP-LINK Smart Charging technology, both output ports of TL-PB20100 can intelligently adjust the charging power subject to the connected devices. These flexible output ports are designed to be capable of delivering ultra fast charging power for devices with large battery like tablets, and also capable of delivering safe and minimal charging power for gadgets with tiny battery like smart wearable devices. Also supporting 5V/2.4A recharging speed, TL-PB20100 can quickly recover from empty to full capacity by saving 50% charging time. Within same time period, other 15000mAh power bank supporting 5V/1A recharging speed only, they will need extra time to recover from empty to full capacity. Ally series power banks incorporate the latest safety features to protect your devices and power bank against short circuit, over voltage, over current, over charging, over discharging and over heating. TL-PB20100 is an enormous capacity 20100mAh power bank from Ally series that utilize superior LG battery cells. The ultra high capacity, together with the compact design, makes TL-PB20100 a strong power companion for most circumstances. Besides the high capacity LG battery cells, TL-PB20100 is a industry leading product since we incorporate varieties of advanced technology into it. Ultra fast charge and flexible speed, dual exible output ports and multiple protections, all these features ensure user a superior performance and a reliable power supply.